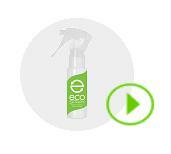 eco-SPRAY® is an environmentally friendly additive made of all-natural ingredients which has been demonstrated to allow cleaner combustion, reduce emissions, improve power, and improve gas mileage. Test results show an almost immediate reduction of carbon monoxide, hydrocarbon, and nitrous oxide gasses with the application of eco-SPRAY®. By helping to optimize your air to fuel mixture, eco-SPRAY® can increase the power of your engine to help your car run smoother, with quieter engine idling. 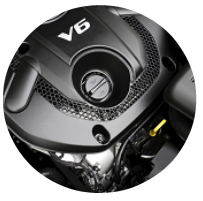 Deep clean carbon deposits from your engine for cleaner, more efficient operation. 3000 miles. 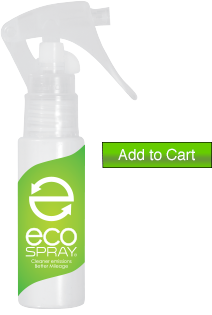 Not only does eco-SPRAY® work much better to improve gas mileage and reduce emissions for both newer and older vehicles, it also has a lower overall cost per mile than fuel additives. The ideal air-to-fuel ratio for complete combustion in your engine is 14.7:1. A mixture which is either too lean or too rich results in incomplete combustion. 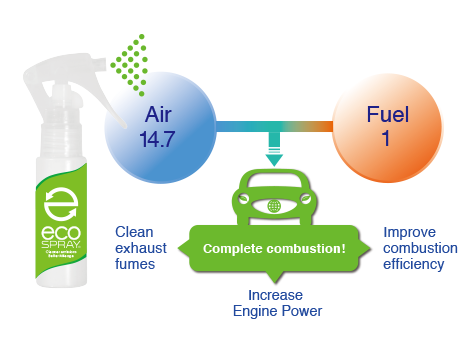 eco-SPRAY® works to increase gas mileage, increase power (and thus fuel efficiency) and reduce harmful emissions by improving your combustion efficiency in a number of ways. Click below to read exactly how. One bottle of eco-SPRAY® applied to your air filter every 3000 miles can improve mileage, typically from 8-40%. Select the fuel efficiency improvement to be used for your estimate. The IEEE National Committee on Transportation and Aerospace estimates that it takes approximately 100 Trees to mitigate the annual carbon emissions from a single 35 mpg car. You're a really big loser. Please fill in all the fields.